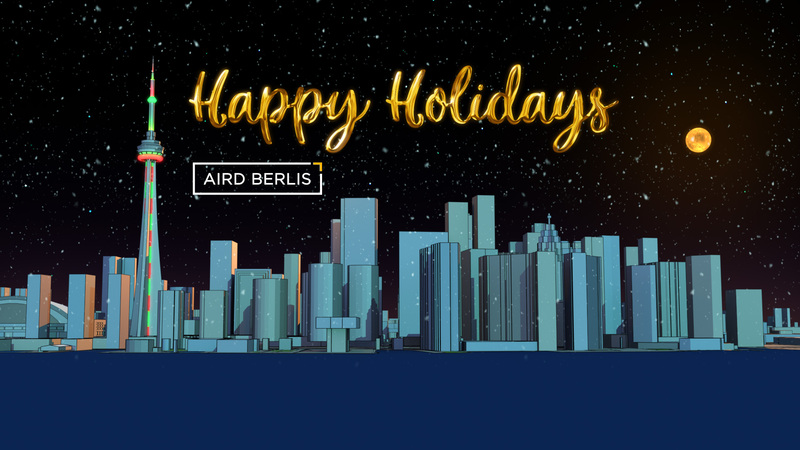 Aird & Berlis LLP, a highly-respected law firm, approached Hatch Studios to develop a fun and exciting 3D animation for the holiday season. A season’s greetings email would be sent out to respective clients with a link to view the animation. What started off initially as a much more limited 2D-style project turned into a far more dynamic and exciting sequence using 3D animation in which the company’s logo chevron takes the viewer around the globe highlighting the different countries in which Aird & Berlis operates within. This video required a holiday feel and that was accomplished through the use of the pixie dust particle effect and, more importantly, the holiday music. The look was specifically designed to be a flat and graphic 3D style which was reminiscent of the original 2D motion graphics treatment, but when combined with global illumination rendering, it produced a unique and unconventional look. 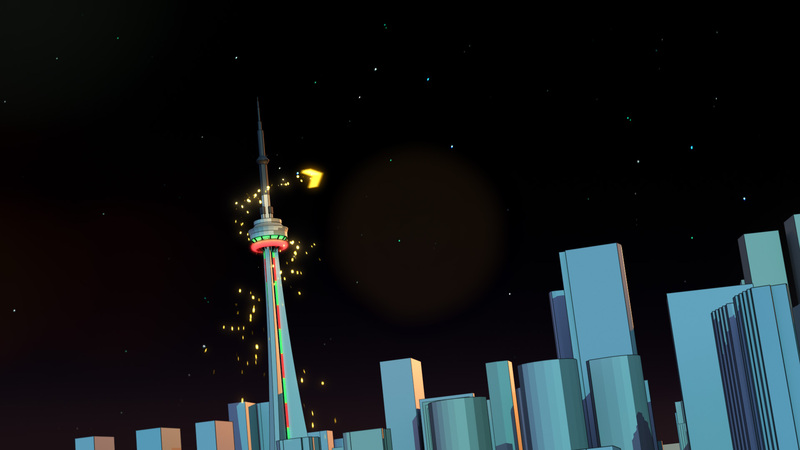 The city of Toronto 3D model was a massive and highly detailed set. The team at Aird & Berlis was a pleasure to work with. This project was modeled and animated with 3ds Max, rendered with VRay GPU and composited with After Effects.